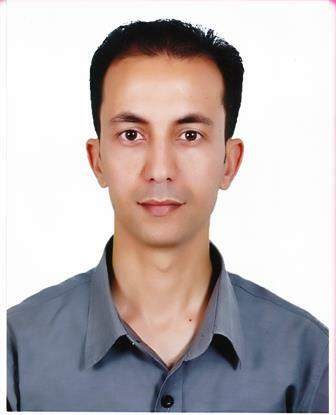 Dr Ayman is an assistant professor of Physiology at Beni-Suef University (Egypt). He received his PHD in Diabetes and Obesity Research and postdoctoral position at Faculty of Pharmacy, Granada University (Spain), followed by another postdoctoral position at Healthcare Science Research Institute - School of Healthcare Science – Manchester Metropolitan University and Manchester Academy of Health Sciences, Manchester, UK. Currently he is an associate editor in many journals such as Pharmacologia, International Journal of Clinical Toxicology, American Journal of Human Pathology and International Journal of Fundamental and Applied Sciences. Also, he reviewed manuscripts for several journals including Plos One, Human and Experimental Toxicology, Neurotoxicology, Phytotherapy, Journal of Cytology and Histology etc. With more than 50 publications, he recently won two prestigious fellowship awards, one from the International Atherosclerosis Society (USA) in 2013 and one from the Alexander Von Humboldt Foundation (Germany) in 2015. In addition, he participated in different scientific projects in the fields of Diabetes & Obesity, Hepatocellular Carcinoma and Cardiovascular Disease as Principal Investigator (PI), Co-PI, Consultant and researcher. Furthermore, he is a member in different societies; including, European Atherosclerosis Society (EAS), British Society for Cardiovascular Research (BSCR), Egyptian Association of Endocrinology, Diabetes and Atherosclerosis (EAEDA), Egyptian Society of Natural Toxins. 1. Mahmoud AM, Wilkinson FL, Moreno-Martinez D, Jiménez R, Duarte J, Alexander MY (2015): Endothelial microparticles prevent lipid-induced endothelial dysfunction through activation of Akt/eNOS signaling pathway and attenuation of oxidative stress. HEART 101:A102 DOI:10.1136/HEARTJNL-2015-308066.180. 2. Mahmoud AM, Wilkinson FL, Jones AM, Wilkinson JA, Romero M, Duarte J, Alexander MY (2015): A novel role for small molecule glycomimetics in the protection against lipid-induced endothelial dysfunction. Heart. Accepted. 3. Mahmoud AM*, Hozayen WG,Soliman HA, Mostafa SR (2015): Enteromorpha flexuosa Improves Insulin Sensitivity and Metabolic Control in Fructose-Induced Diabetic Rats. J Endocrinol Diabetes Obes 3(2): 1072. 4. Mahmoud AM*, Ahmed RR, Soliman HA, Salah M (2015): Ruta graveolens and its active constituent rutin protect against diethylnitrosamine-induced nephrotoxicity through modulation of oxidative stress. Journal of Applied Pharmaceutical Science. In Press. 5. Ahmed RR, Mahmoud AM*, Ashour MB, Kamel AM (2015): Hesperidin protects against diethylnitrosamine-induced nephrotoxicity through modulation of oxidative stress and inflammation. Natl J Physiol Pharm Pharmacol. In Press. 6. Toral M, Romero M, Jiménez R, Mahmoud AM, Barroso E, Gómez-Guzmán M, Sánchez M, Cogolludo A, García-Redondo AB, Briones AM, Vázquez-Carrera M, Pérez-Vizcaíno F, Duarte J (2015): Carnitine palmitoyl transferase-1 up-regulation by PPAR-β/δ prevents lipid induced endothelial dysfunction. Clinical Science. 129(9):823-37. 7. Al-Rasheed NM, Al-Oteibi MM, Al-Manee RZ, Al-Shareef SA, Al-Rasheed NM, Hasan IH, Mohamad RA, Mahmoud AM* (2015): Simvastatin prevents isoproterenol-induced cardiac hypertrophy through modulation of the JAK/STAT pathway. Drug Design, Development and Therapy 9: 1-13. 8. Mahmoud AM*, Abdella EM, Abdella EM & El-Derby AM (2015): Protective effects of Turbinaria ornata and Padina pavonia against azoxymethane-induced carcinogenesis through modulation of PPAR gamma, NF-κB and oxidative stress. Phytotherapy Research 29: 737-748. 9. Mahmoud AM*, Ahmed OM, Ashour MB & Abdel-Moneim A. (2015): In vivo and in vitro antidiabetic effects of citrus flavonoids; A study on the mechanism of action. International Journal of Diabetes in Developing Countries. Doi: 10.1007/s13410-014-0268-x. 10. Mahmoud AM*, Morsy BM, Zanaty MI, Abdel-Moneim A & Abousief MA (2015): Therapeutic synergy between probiotics, Nigella sativa and Zingber officinale in hepatitis C patients; a pilot study. European Review for Medical and Pharmacological Sciences. In Press. 11. Mahmoud AM, Toral M, Romero M, Gómez-Guzmán M, Sánchez M, Gálvez J, Pérez-Vizcaíno F, Jiménez R, Alexander MY & Duarte J (2014). Protective effects of peroxisome proliferator-activated receptor (PPAR)-β activation on lipid-induced endothelial dysfunction via carnitine palmitoyl transferase-1 upregulation. Heart 2014;100(4/A9): doi:10.1136/heartjnl-2014-306916.26. 12. Mahmoud AM*, El-Derby AM Elsayed KNM & Abdella EM (2014): Brown Seaweeds Ameliorate Renal Alterations in Mice Treated with the Carcinogen Azoxymethane. International Journal of Pharmacy and Pharmaceutical Sciences, 6(11):365-369. 13. Mahmoud AM, Germoush MO & Soliman AS (2014): Berberine attenuates isoniazid-induced hepatotoxicity by modulating peroxisome proliferator-activated receptors γ, oxidative stress and inflammation. International Journal of Pharmacology, 10(8): 451-460. 14. Mahmoud AM* (2014): Hesperidin protects against cyclophosphamide-induced hepatotoxicity by upregulation of PPARγ and abrogation of oxidative stress and inï¬‚ammation. Canadian Journal of Physiology and Pharmacology; 2014; 92(91): 717-724. 15. Mahmoud AM*, Germoush MO, Elgebaly HA, Elsayed KNM, Hassan S, Mousa NM & Hussein OE. (2014): Antidiabetic and insulin sensitizing effects of Padina pavonia and Turbenaria ornata in streptozotocin/nicotinamide diabetic rats. Asian J Pharm Clin Res., 2014; 7(4): 74-78. 16. Mahmoud AM*, Galaly SR & Ahmed OM. (2014): Thymoquinone and curcumin attenuate gentamicin-induced renal oxidative stress, inflammation and apoptosis in rats. EXCLI J., 2014;13:98-110. 17. Mahmoud AM*, Germoush MO & Soliman AS. (2014): Ruta graveolens mitigates ammonium chloride-induced hyperammonemia by modulating antioxidant status and pro-inflammatory cytokines. Life Sci J., 2014; 11(6): 269-275. 18. Mahmoud AM* (2013): Hematological alterations in diabetic rats; role of adipocytokines and effect of citrus flavonoids. EXCLI J, 12: 647-657.28. Mahmoud AM*, Hussein OE & Ramadan SA. (2013): Amelioration of cyclophosphamide-induced hepatotoxicity by the brown seaweed Turbenaria ornata. International Journal of Clinical Toxicology, 1:9-17. 19. Mahmoud AM*, Ahmed OM, Abdel-Moneim A & Ashour MB. (2013): Upregulation of PPARγ mediates the antidiabetic effects of citrus flavonoids in high fat diet fed-streptozotocin induced type 2 diabetic rats. International Journal of Bioassays, 2(5): 756-761. 20. Mahmoud AM*, Soliman AS. (2013): Rutin attenuates Hyperlipidemia and Cardiac Oxidative Stress in Diabetic Rats. Egypt J Med Sci, 34(1): 287-302. 21. Mahmoud AM*, Ahmed OM, Ashour MB, Abdel-Moneim A. (2012): Hesperidin and naringin attenuate hyperglycemia-mediated oxidative stress and proinflammatory cytokine production in high fat fed/strptozotocin-induced type 2 diabetic rats. J Diabetes and its Complications, 26: 483-490. 22. Mahmoud AM* (2012): Influence of rutin on biochemical alterations in hyperammonemia in rats. Experimental and Toxicologic Pathology, 64: 783–789.